ETHOS work with a number of host families throughout the Hoang Lien Son Mountain range and each village has something different to offer. Our homestay partnerships grew out of ETHOS’s mission to promote and support responsible travel. Each homestay has a different feel, but all offer the traveller a rare glimpse into the way of life that has all but vanished from the rest of Asia. Here you will find no welcome mats or rehearsed “cultural” parades, just real people living real lives who greet visitors with genuine warmth and real smiles. Follow a mountain stream and trek through the villages of Sa Pa and Xa Seng and it will certainly feel like you have stepped back in time. 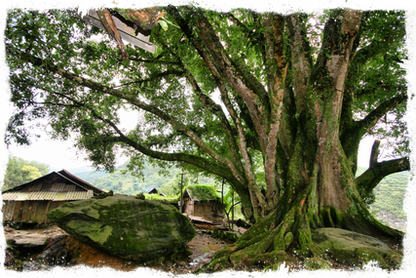 Sa Pa village sits under an enormous tree that is said to be the home of the spirit gods. Experience rice terraces, bamboo forest and steep sided valley in this incredible part of the world. Sin Ho is one of the highest settlements in all of Vietnam. The district is home to Hmong and Dao people.Whilst Sapa is a famous mountain retreat, enormously popular with Vietnamese and foreign tourists. Sin Ho, on the other hand, is hardly ever visited by travellers. These two highland towns are connected by lofty mountain passes which afford spectacular views, on a scale not found anywhere else in Vietnam. This is a unique walking experience and incorporates some of the most remote and untouched villages in Sapa District.The trek winds through a cluster of Hmong and Dao Villages nestled amongst some of the most spectacular rice terraces in all of Vietnam. Thanh Phu is a small Tay Minority Village in the foothills of the Hoang Lien Son Mountain range. 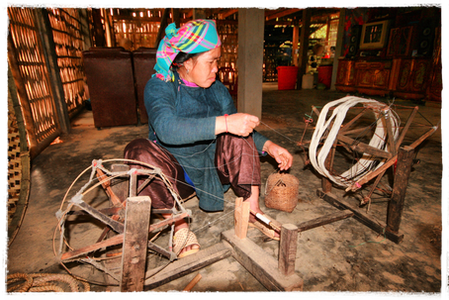 The Tay are expert weavers of cotton and hemp and the area is home to beautiful rice terraces and extensive forest. There are also some beautiful treks and waterfalls in which to swim in this region. This four day loop takes in the changing scenery of Lao Cai, Ha Giang and the extremely remote Tuyen Quang Province. From cinnamon forests to tea plantations and rice terraces, this loop has it all. We ride along mountain passes and through vast plains and ancient forests. This four day loop is a great way of discovering some of Vietnams greatest secrets.